OSA-Obstructive Sleep Apnea is quite a serious condition which can even become fatal to the patient if proper treatment is not implemented. The exact cause of OSA is yet to be determined on a scientific and medical level, but the fact is that quite a big percentage of the world’s adult population suffers from sleep apnea of a certain extent. Translated literally “apnea” means “cessation of breath”. Patients with sleep apnea experience a shallow breath and it can easily happen that they stop breathing for even up to 15 seconds or more during sleep. The cessation of breathing can have very serious repercussions upon the human system, and if apnea lasts for too long it can permanently damage the brain and other major organs. When the upper airways are repeatedly blocked and air cannot pass correctly through for normal breathing rates, the physician will prescribe the use of a CPAP. 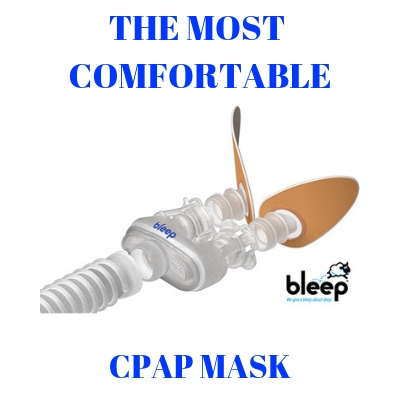 SleepRestfully provides patients with rich, informational resources for all major breathing/pulmonary conditions and a wide variety of aiding treatment devices – CPAP machines, APAP machines, BiPAP or POC devices. Patients are also welcome to contact the friendly and highly experienced team of professionals at customer service for assistance in selecting the right type of CPAP therapy device that will help them receive proper treatment. Most often, the bed partners are the ones who will notice their partner has sleep problems. Many OSA patients do not have particular complaints, they just notice they have a difficulty getting out of the bed or experience headaches in the morning, but cannot figure out the causes for such discomfort. required to alleviate the discomforting symptoms. maintain the upper airways open during sleep and thus breathing is not obstructed in any way. The lungs of the patient receive enough oxygen, and he is able to breathe at normal rates all throughout the night. Respironics, Fisher and Paykel or SeQual. Check out these devices, and how they function and discuss with your doctor which device would offer you optimum treatment for Sleep Apnea. Patients with Sleep Apnea will stop breathing for several seconds at once, and they can encounter tens or even hundreds of such episodes during the night. As a result, the patient feels that sleep is not refreshing at all and struggles with daytime sleepiness and constant feelings of fatigue during the day. A Sleep Apnea patient also finds it extremely difficult to concentrate on regular tasks during the day (going to work, performing well at work, driving, or performing tasks which would be otherwise non-complex such as cooking). A Sleep Test is indicated in case you struggle with symptoms of Sleep Apnea. During this test the experts will record the important body functions during sleep, analyze the data and if sleep apnea is the diagnosis proper course of treatment will be prescribed.
! Proper treatment for Sleep Apnea is extremely important because if untreated it can even lead to severe depression. keep out any dust particles, allergens and bacteria, and then pressurize that air and deliver it to the patient in a continuous flow mode. Positive Airway Pressure Therapy is the most beneficial, non-invasive therapy for Obstructive Sleep Apnea. The patient can purchase the device through Sleeprestfully.com provided he can make proof of a valid medical prescription. The pressurized air is delivered by the device through a special mask that the patient wears. 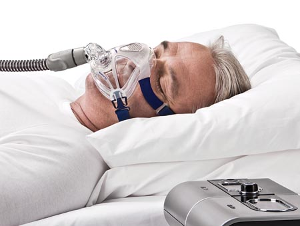 Some patients require such CPAP therapy only during sleep, while others will need to use it several times during the day as well. APAP- Automatic Positive Airway Pressure Device- the device adjusts the pressure automatically all throughout the night. These devices will respond to the continuous changes in the upper airways of the patient (adjusting to different breathing rates and intensities). 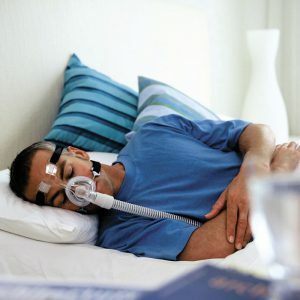 Bi-Level therapy with BiPAP machines- these devices can be adjusted to deliver a higher pressure when the patient breathes in and a lower pressure when he exhales. This treatment is standard for patients who find it difficult to perform and exhale against a higher pressure burst delivered by the device. Visit Sleeprestfully.com for more information about sleep apnea.